It finally arrived! We finally “ADVANCE”-d in Telford last Monday. After almost two years of planning and dreaming how this event would happen; where, when, what we would cover, it all came together beautifully. If you have ever organised an event of this scale you will completely understand the amount of work involved in getting something like this from conception to birth but we are all on such a high because it was AMAZING! Our incredible attendees travelled for hours, stayed over in hotels and had very long days in order to be able to join us but I know from their feedback that they are so glad they did. I think everyone is still buzzing a week on from the incredible energy in the room. We laughed, cried and shifted some big issues together… oh and also ate the best chocolate tart I think I have ever eaten (yes I know I’m not supposed to eat chocolate tart but it was my reward!). We always knew that the day would be powerful (that’s power full – thank you Taz for reminding me of the difference), but I think because we each use our techniques and strategies every day and have done for years we forget the impact that they have when you first discover them. It’s an interesting thing isn’t it knowledge? We somehow assume that everyone has the same understanding, the same interpretation, the same talents we do. The more naturally we do something, the more it is part of our life, the more we take it for granted that “everyone does/knows that”. So often it isn’t true. There were some really significant light bulb moments for many of the attendees, including us! Yes, we were as excited about the event as anyone. We have known each other for years, we have attended each other’s talks and events, but we know from experience that even when we plan what we are each going to cover that there are always little alleyways from the main path, and without exception there is always a take away from these little meanderings. We had so much fun and despite the stress of organising such a big event everything went pretty much without issue. This was in part due to my amazing husband, Ian, who stepped in and saved the day several times by correcting issues we were left with my the PA provider (thank goodness he had brought his sound engineer head as well as his videographer head!). Ian you are a star, thank you for all your help with the promotional videos and for coming along and filming the day for us. An extra special “thank you” also needs to go to Asha Thornton-Clearwater, Taz’s wife, who was incredible introducing the day with style and grace, and she helped us so much with publicising the event. Thanks Asha, I don’t know where we’d be without you on Team ADVANCE. We would also like to thank Telford Couriers who stepped in and saved the day but delivering the additional food we bought to a local homeless shelter Maninplace. When we originally planned the day we booked it for October but for personal reasons we had to move it later in the year and we knew that that would have an impact on attendance because we were getting so close to Christmas. Because we had booked for larger numbers we still had to pay for the food for the additional number, so we asked the hotel to make that food into packed lunches and Martin from Telford Couriers very kindly offered to collect the food and deliver it for us. Thank you Martin, you are a star. The biggest thank you of the day has to go to the attendees though. Thank you for coming along, for believing in the power of three and for trusting us enough to be open and vulnerable. You are amazing and I can’t wait to watch your journey now. It was a truly incredible day, Jo talked about how to stay calm and make sure you clean your wellies. Then I talked about staying calm like a Jedi, Taz showed us how to Unleash our Awesome and then we ended the day with one of my favourite extreme empowerment exercises… a glass walk! All in all it was a powerful and life changing day. Do you want to know more and make sure that you are first to find out about the three events we are already planning for 2019? Check out my ADVANCE page or sign up for my newsletter these are going to be such popular events and we’ve learned even more about how we want to make the day MORE powerful and MORE impactful. We are always striving for better and this is going to grow and grow. Depending upon where you are when you are reading this the word “Thanksgiving” will have very different associations. If you are in the US you are no doubt in full flow with your preparations for Thursday; the pumpkin pies will be baking and the turkey defrosting as I type. If though, you are elsewhere in the world, you probably see Thanksgiving as a purely American celebration, after all, what relevance does it have to you in your house in the south of France? Well, perhaps more than you might think. Let me give you my take on this day and see if I can convince you of its relevance for everyone. Well, it is fundamentally a Harvest festival. A celebration of all the food nature has provided to help us get through the cold winter months. Most cultures and religions have a variation on this festival. It is a very primitive need to be appreciative of the food we have to nourish us and of course that is much more scarce or non-existent during the winter months. So we say thank you to whatever higher power we believe in for providing for our family through those dark and cold days. The festival celebrated in the US takes its origins from the pilgrims who landed in Plymouth in the early 17th Century and the first meal they had with the Native Americans. 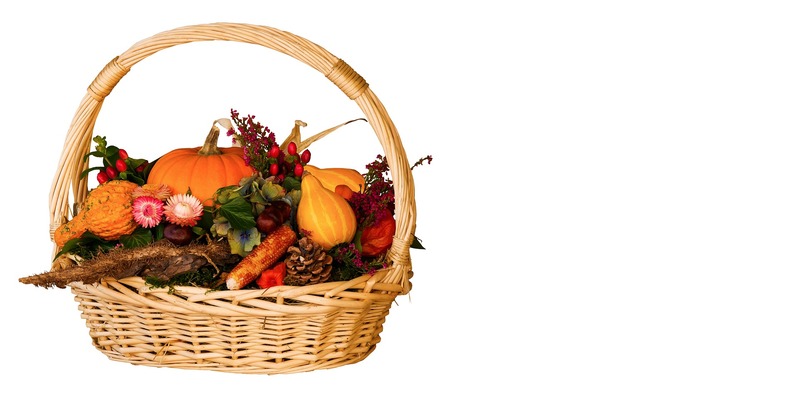 Families decorate the home, cook a wonderful meal and bake seasonal goodies such as pumpkin pie and minced pies. More importantly though, families take time to think about what they are grateful for. School children do lots of work in the lead up to Thanksgiving about gratitude and often perform random acts of kindness. Families often sit round the table and each share what they are thankful for before tucking into a feast of turkey, potatoes, stuffing, vegetables, cranberry sauce… yum! Sounds like a Christmas dinner to me, as a Brit, I would definitely be feeling grateful for such a delicious meal with all my family around me! The meal may be very similar to a traditional Christmas meal but the rest of the day is very different. In many families now Christmas has become all about indulgence and presents. We often forget to be grateful for all the wonderful things we have, that we are with our loved ones, that we have food during the coldest, bleakest time of year. In a world where consumerism and waste seems to dominate, let’s appreciate this celebration of gratitude and family. Let’s all take time to eat together, to feel truly thankful that we have food to eat, a warm home and people who love us. Take the time to think of those who do not have all the amazing things we have. Perhaps consider doing a reverse advent calendar for a local food bank or taking a donation to a homeless shelter. Just check on an elderly relative. Think of others and help someone else feel really cared for. That is what Thanksgiving is all about, for me anyway. What does it mean to you? I was 5 years old when I first remember being aware of Queen. Sitting on my bunk bed with the window open with my sister and my Dad listening to the playing Elland Road in Leeds. I grew up in a village just outside Leeds and we could not only hear them playing from our bedroom we could see the lights shining at Elland Road. It really was a Kind of Magic (did you see what I did there?). It was a real treat because we should definitely have been asleep but it was so exciting listening to this amazing music flying through the air from this mythical place just two and a half miles away. Of course I had no idea what Elland Road was, I wasn’t 100% sure who Queen were if I’m honest, but that moment started a life long love of this amazing band. Fast forward a few years and I was hooked. When Freddie Mercury died in November 1991. I was 15 years old. Just starting my GCSEs. I had been listening to Queen for a few years by this time. Of course buying records was expensive (I was just transitioning to CDs!) but I was lucky because my friends Dan and Simon were fans too so we used to record each others onto a tape so we had pretty much all their back catalogue between us. I bought every newspaper, all the tribute magazines, had the posters on my wall and grieved as though he was a family member. I loved everything about Queen. 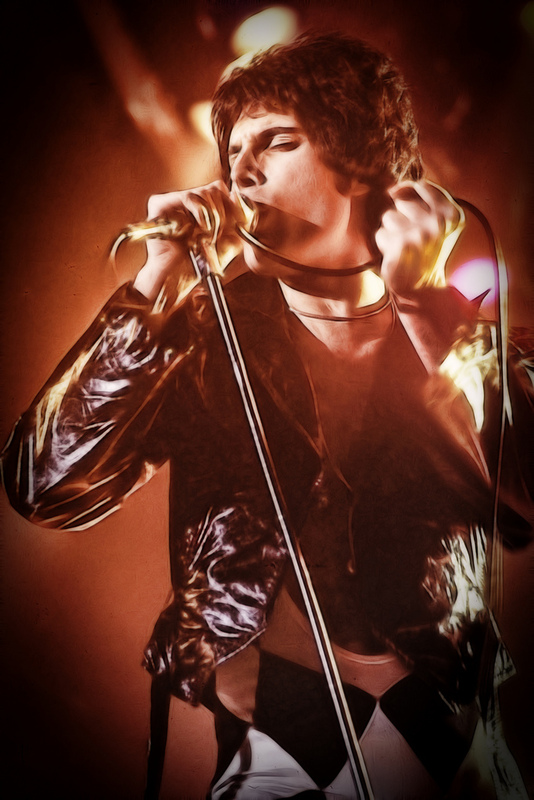 I’ve always loved rock music, but I loved the theatre that Freddie Mercury added. I loved that they laughed at themselves. I’m sure you must be wondering why on earth I am going on about my favourite band by now. Well, there are a few reasons. Not least the fact that the new film “Bohemian Rhapsody” is released this week. It’s more than that though. This film got me thinking. I can remember listening to Queen when I was a little girl. Listening to their music was a huge influence on my teenage years. Years later they were one of the first things I bonded with my father in law over. I can’t remember a time without Queen in my life. Of course I never saw the original line up live. Their last tour with Freddie Mercury was in 1986, I was 10 years old. In those days concerts weren’t family environments. A few years ago though I watched the film Bucket List, with Jack Nicholson and Morgan Freeman. It got me thinking about what things I would put on my bucket list. If you are unfamiliar with the concept, a bucket list is basically a list of all the things you want to achieve in your life. I realised that there were very few things I felt passionately about achieving, very few places I felt I had to visit. But I attempted to write a list with a few things I wanted to achieve, places to go, things to do, before I die. I suddenly realised that not having seen Queen live was a big deal for me. I really regretted that I hadn’t had that chance. Then they announced that they were touring with Paul Rodgers. It wasn’t perfect but it was better than nothing. Unfortunately the timing was all wrong. They toured from 2004-09. My daughter was born in 2004, I was diagnosed with acromegaly in 2007 and my son was born in 2009. They were busy and exhausting years. Going to concerts was not high on my list of things to do. Then a miracle happened in the form of Adam Lambert. Adam Lambert is the son Freddie never had, in my opinion. My amazing hubby got me tickets to go see them live for my Christmas present and we went to Birmingham on 23rd January 2015. It was a dream come true. I have had a wonderful life. I have been fortunate enough to meet and even work with many famous people along the way. Never have I been star struck (well maybe a little with Alan Rickman but mostly I’m pretty cool!) they are just people like us. Queen was a very different matter. When Brian May walked out onto the stage I cried. I don’t mean I had a tear in my eye, I mean properly cried. It was one of the most amazing nights of my life. Why am I telling you this though? Well, obviously I think you should all go out and watch the new film, if you are interested, but that’s not the reason. What I really want you to do is to stop and think about all the things that you really want to do with your life. There is definitely something significant about the music you connect to in your teenage years. I don’t think we ever connect with music in quite the same way at any other time in our lives. What music has really impacted on your life? Have you been fortunate enough to see your favourite band playing live? I just want you to think about what makes you happy. If it pops into your head, write it down. You might be surprised at some of the things that come up. You might not appreciate how much those things mean to you until you actually get to tick it off either. I certainly didn’t. Live your very best life, whether it is using your best perfume, going to the theatre more, travelling the globe, eating in fancy restaurants. Whatever makes you happy, if you possibly can do it, then do it! I had to hop back on to give you an little update. This morning my husband and I bunked off and went to see “Bohemian Rhapsody”. I had a meeting cancel at last minute so I suddenly had a timely free day. I knew I would love it. I knew it would be an education. 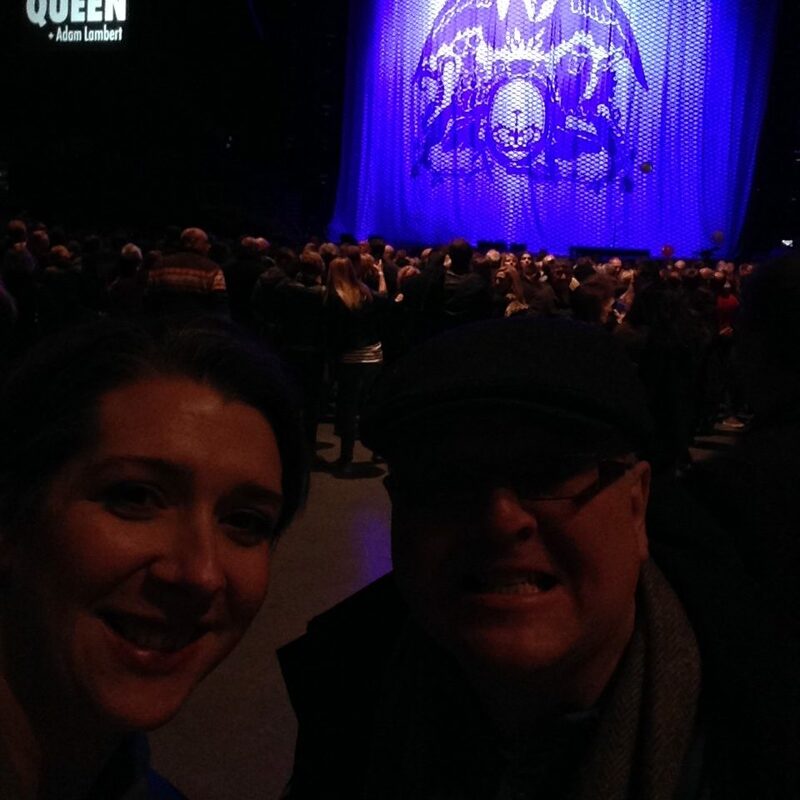 I have always loved the music and performance Queen created but I have never really looked into much of their private lives or behind the scenes elements. I was not expecting to laugh and cry. If you are a fan of the band, if you like music, if you are a human, you must see this film. Every so often I go to the cinema or the theatre and completely lose where I am. It doesn’t happen often. If happens when I see Les Miserables at the theatre, it happens when I see War of the Worlds tours and it happened today in the cinema. I didn’t want the film to end and I cried as it did. Now I know I have something of a history of crying at Queen but I really wasn’t expecting to cry at this film. It really is exceptional. I feel I have to give a special mention to Gwilym Lee who plays Brian May too. His performance was breathtaking. I have always been a big fan of Brian May and thought he would be hard to replace but it’s so evident that they worked incredibly closely together to ensure the portrayal was spookily accurate. Huge congratulations to everyone involved in the film though, it was a triumph! We hear a lot these days about people going on retreats to find themselves, for personal development or to learn a new skill. It seems a strange word to choose, surely none of us want to “retreat” we want to ADVANCE. Whether it is in our personal life, our business, our relationships, academically… whatever you are learning, developing you want to advance and make a move forwards not backwards. Months ago I was asked by two of my favourite inspirational women if I would be interested in running an event with them to empower people and help them to move forward feeling happy, calm and empowered. So we have organised an amazing day of Happiness, Calm and Empowerment which will open your eyes, your mind and leave you feeling inspired and ready to tackle everything that 2019 has to offer. ADVANCE; Because who wants to retreat is taking place on Monday 26th November in Telford, UK and it will be a powerful and life changing day. 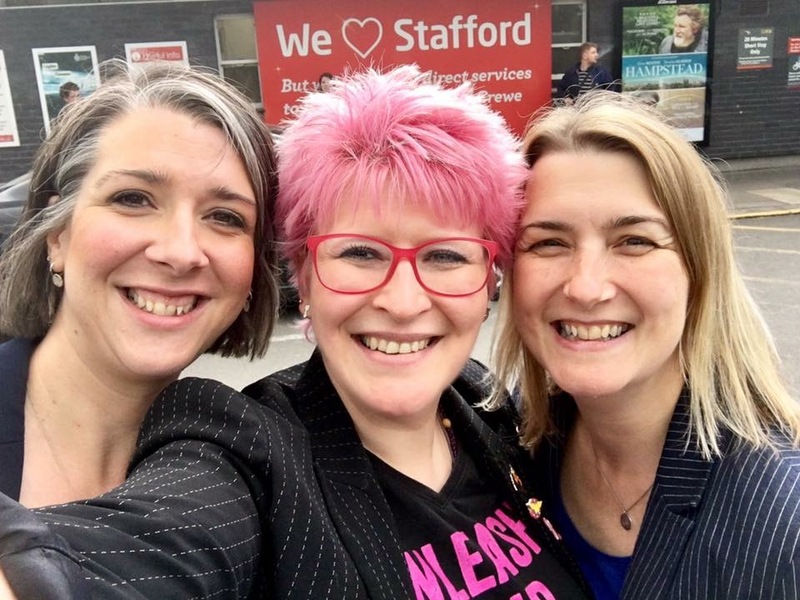 Taz Thornton, the Empress of Empowerment and Jo Howarth, Happiness Hero are two of the most inspirational women I have ever had the pleasure of knowing and to be working with them is truly awesome. She is an empowerment specialist and the UK’s number one inspirational breakthrough speaker. She is a TEDx speaker and best selling author. Taz will be empowering you with her own unique blend of motivation and inspiration. Her speciality is helping people to reboot their lives and move from breakdown to break through. I have known Taz for many years now and I can’t tell you how many times she has helped me out when I have been feeling stuck. She isn’t you average coach and speaker. Taz walks the talk. Having spent her twenties and thirties living a very corporate life in London she made a life changing decision when she had her “break through” and realised that something had to give. That something was her. Taz transformed her life. She learned new skills including NLP (neurolinguistic programming), shamanic teachings, Reiki, extreme empowerment and much more. She will be leading an amazing session at ADVANCE, you really don’t want to miss this opportunity to learn from her. Just one hour working with Taz would cost you more than the cost of your ticket for a whole day at ADVANCE. Jo runs The Happiness Club. She is a Mum, wife and is also a best selling author, hypnotherapist and inspirational speaker. Jo always suffered with anxiety and stress both at work and in her personal life. She lacked self confidence, self belief and felt like a fraud. Her life changed when she too went through a difficult time in her personal life and she made the decision to change her mindset. Through a combination of coaching and hypnotherapy she changed her life and she has since changed many lives with her magical Happiness Club. Then there’s me, Kate, Queen of Calm. You know who I am, if you don’t you can read more on my About page. I will be sharing lots of tips to help you stay calm and feel in control right through 2019. I will be looking at routines and simple strategies to help you change your mindset and change your life. This day will change your life, we guarantee it. BUT, you have to be prepared to follow through. You can’t just turn up, listen and leave. You have to commit to making real, every day changes. If you do that, you life will never be the same again! We’ve had a few enquiries asking whether this event is just for women. Absolutely not. Just because it is three women speakers does not mean that it is exclusively for women. We have all been to countless large events with all male speakers and there are always lots of women attending, this is no different. We have also been asked whether you need to have a business to get the most out of the day. Again, no. We will all be giving tips which will help you if you do have a business, but these are transferable skills which may help you with your life whether you are a carer or stay at home parent, employed, self employed or retired. These are life long skills that apply to everyone. We all work with everyone from schools through to the older generation and our techniques work for everyone. Whoever you are, whatever you do, you are going to love ADVANCE. If you are ready to ADVANCE with and enjoy a day of fun and transformation get yourself along to Telford on 26th November. It really will be a day you won’t forget. So come along, bring a friend and begin changing your life today! World Mental Health Day is celebrated on the 10th October every year and although it was founded in 1992 it has definitely been talked about more in the last few years than every before. High profile people such as the royal princes and celebrities have really led the way and used their influence as a force for good on the subject of mental health. By discussing their own struggles with mental wellbeing and encouraging others to do the same they have removed a lot of the stigma that used to exist around mental health issues. It isn’t long since illnesses such as anxiety and depression were kept behind closed doors and those struggling, then felt that not only had they got this huge issue to overcome but they felt unable to talk about it with anyone for fear of seeming weak. The reality of course is very different. Many people who struggle with mental ill health do so because they are incredibly mentally strong. They simply have so much to deal with, and do it with such grace, that no-one is aware that they are living an internal battle. In my line of work I am very aware of changing attitudes to mental wellbeing and also see first hand all the statistics we all see on the news. There are some worrying trends, that cannot be denied. Suicide and self harm rates are up for all age groups, from adolescents to adults, with particularly alarming trends towards self harm among teenage girls. 10% of children (age 5-16 years) have been diagnosed with a mental health disorder (source: https://www.mentalhealth.org.uk/statistics/mental-health-statistics-children-and-young-people). That’s at least three children in every class! And those are the children who have been diagnosed with issues which means it has been so severe that someone has referred them to a medical professional. Don’t get me wrong, life isn’t always easy. But it shouldn’t be. I actually think that that is part of the problem. I have seen a shift over the last 20, even 30 years towards protecting children and young people from all pain and disappointment. We don’t allow our children to be upset because they broke their favourite toy, we buy them a replacement. Preventing them from doing things that we deem to be too dangerous, not allowing them to climb that tree at the park or learn to roller-skate in case they get hurt. We give awards to everyone at sports day for trying instead of letting the child who is brilliant at running really shine that day and give the other children a small and very manageable dose of disappointment. 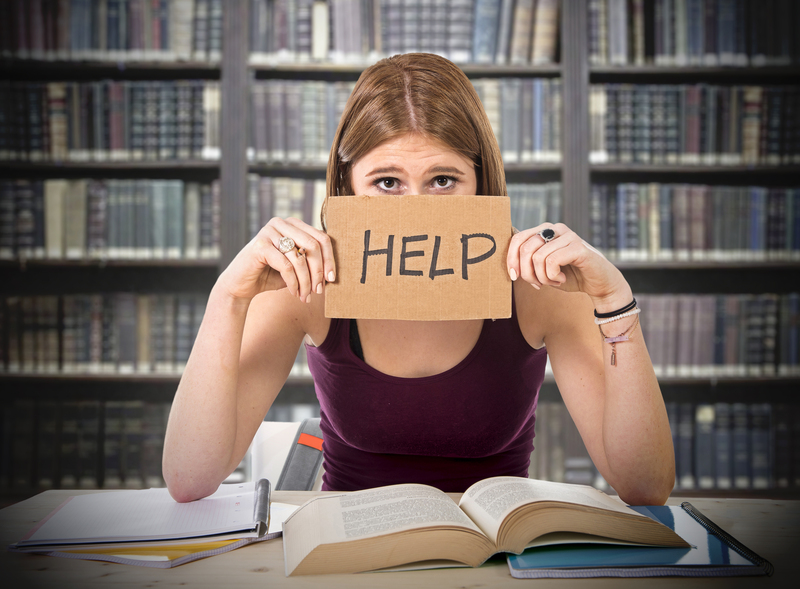 If we don’t learn these little lessons and develop that mental resilience, how on earth can we cope with failing our driving test, not passing an exam or being rejected in an interview process? Learning to be more mentally strong is a challenge for everyone, with or without additional challenges. I am a huge advocate for learning strategies to strengthen our mental wellness before we need to use them. By having these tools and techniques ready in our toolbox we will use them quickly and easily when we really need them. That is why most of my work is in schools. I am passionate about teaching children strategies to stay calm and happy while, for the most part, that that is their natural state. It is then something that they understand and is so natural and instinctive that they use their favourite breathing technique or they meditate, do some exercise, whatever works best for them, whenever they feel the mental malfunction monster knocking. As a society we need to understand that it is through our challenges that we learn to grow. This must start in childhood. Protecting each other from pain isn’t doing us any favours. I’m not saying that we need to intentionally hurt each other, that is very different, but some upset is character building. It strengthens our mental wellness. My sister overcame a huge fear this weekend. She intentionally went to a Go Ape with her school friends and spent two hours high in the trees, walking on ropes and swinging down zip wires. She is terrified of heights, but she decided that it would do her good, as part of her “special” birthday celebrations, to face her fears and tackle this head on with supportive friends who she has known for many years. I wouldn’t say she found it easy, she didn’t. But she did it! She laughed and smiled (I’ve seen the evidence!) and enjoyed spending time with her friends, but most of all she had that amazing sense of achievement that you can only get from achieving something you didn’t think possible. If she had sat at home worrying about it, she wouldn’t have had that amazing buzz. How are you going to mark World Mental Health Day? You don’t have to climb trees or jump out of a plane, but maybe you could visit someone you know doesn’t get out much? Perhaps ring your Mum or your Nan? Check in on that friend who is having a difficult time? Just be there for someone who needs to know that they are loved and supported. Maybe you will choose this day to start a new wellbeing routine; find a yoga class, make a self care promise to yourself. Whatever you decide to do know that if you are struggling today, you are not alone and there are people out there who want to talk to you and help you. By all means reach out to me and ask my advice or just tell me your story. I’m always here. Happy World Mental Health Day, let’s make it a happy and healthy one, for everyone! Is your body controlling your mood?